As stated in Section 1, the nineteenth century consensus view held that children perhaps had a hereditary disposition to myopia, but the affliction ultimately manifested with the demands of too much close work in the classroom. The experts reasoned that pre-industrialized, indigenous people were hunter-gatherers, or agrarian societies, whose survival relied upon keen eyesight for primarily distant viewing. The theory suggested that, with industrialization and compulsory education, somehow the eyes weren’t able to adapt to such a dramatic cultural shift. Visual blur, in the form of myopia, thus ensued as a defect in children so pre-disposed. The problem with this argument, as Bates noted, was the experts generally forgot, or conveniently ignored, the “fact that primitive woman was a seamstress, an embroiderer, a weaver, an artist in all sorts of fine and beautiful work… Yet women living under primitive conditions have just as good eyesight as the men.” At the 1904 World’s Fair in St. Louis, Bates tested the eyes of a few indigenous people from various countries and found their vision to be normal. 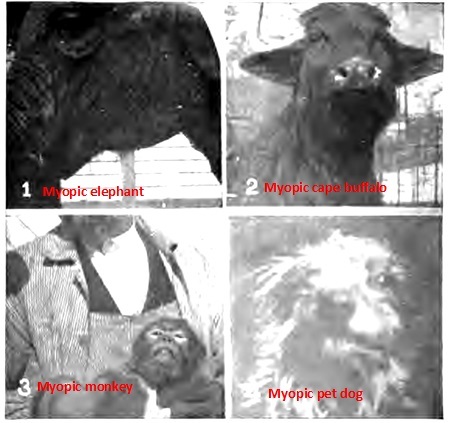 Figure 2.1 Dr. Bates tested the eyesight of various indigenous cultures at the 1904 World’s Fair (left photos) and found their vision to be normal. 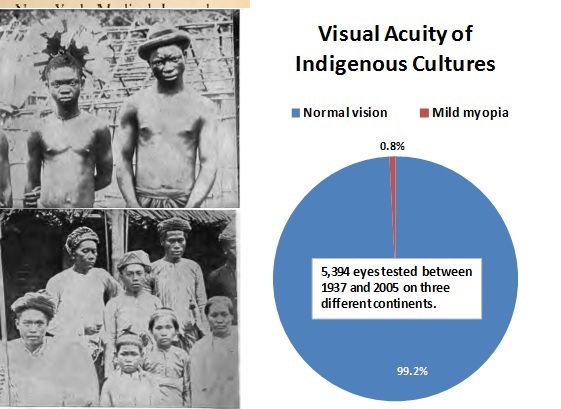 Myopia is virtually non-existent in indigenous cultures, as tested by other researchers over several decades (pie chart on right). The rigors of near work in the classroom haven’t always invoked myopia in students. There are recorded cases by researchers in more recent years that showed myopia incidence rates in some schools that were almost as non-existent as traditional aboriginal cultures. On the flip side of the issue, Bates pointed out that it was common knowledge among his colleagues during his era that adults who were illiterate, or didn’t partake in near-work activities, sometimes developed myopia. Such observations were made in later studies of illiterate groups in 1962 and 1993, where researchers determined incidence rates in the range usually found in schoolchildren. See Figure 2.2 which graphically depicts both types of anomalies. Figure 2.2 Anomalies to theory that myopia is caused by too much near work. Low incidence among some school students (left). Much higher incidence among illiterate people not engaged in reading or near work (right). The major blow to the near work theory occurred in the late nineteenth century. As discussed in my earlier article, “Orthodox Myopia Research: Blind Alleys and No Cure,” numerous ergonomic and environmental measures were undertaken at many schools to help mitigate the circumstances thought to cause near work stress and myopia. Unfortunately, those attempts to control the onset and progression of myopia ultimately failed. 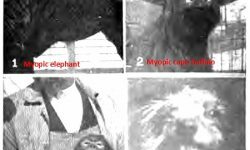 The tide then turned, as this led experts to conclude that heredity was the primary factor behind myopia. W.H. Bates, The Cure of Imperfect Sight by Treatment Without Glasses, (New York: Central Fixation Publishing Co., 1920), 2-3. Stig Holm, “Les États de la Réfraction Oculaire Chez les Palénégrides Au Gabon, Afrique Équatoriale FrançAise; Étude de Race Pour Éclairer la Genèse de la Réfraction,” Acta Ophthalmol Suppl. 13, (Copenhagen: Levin & Munksgaard, 1937), 1-299. Erik Skeller, “Anthropological and Ophthalmological Studies on the Angmgssalik Eskimos,” Meddr Gronland 107 (1954): 167-211. Frank Thorn et al., “Refractive Status of Indigenous People in the Northwestern Amazon Region of Brazil,” Optom Vis Sci. 82, no. 4 (April 2005): 267-72. The pie chart in Figure 2.1 was created from data within the sources listed in notes 5, 6, 7 and 8. 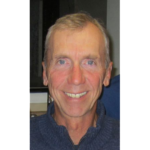 Richard Post, “Population Differences in Vision Acuity: A Review, With Speculative Notes on Selection Relaxation,” Eugen Quart 9, no. 4 (1962): 189-212. L. Wong et al., “Education, Reading, and Familial Tendency as Risk Factors for Myopia in Hong Kong Fishermen,” J Epidemiol Community Health 47, no. 1 (Feb 1993): 50-53. The bar graphs in Figure 2.2 were created from data within the sources listed in notes 11 and 12.